The front of the building faces the main road with a slip road leading to the building. It also functions as the external side of the atrium roofing the interior courtyard and the ground floor level. It is clad in composite panels of glass and white onyx interpreted as shutters which act as protection against the glare and heat of the western and eastern sun exposure. It produces special effect in counter light or by night owing to its light absorption and emission properties. The decision to use this material was made on the basis of its aesthetic properties and the symbolism of the building in terms of light and purity. The atrium around the internal courtyard accommodates the offices. The central area contains a chapel and a conference room whereas the east-facing residential area with a view of the park is located in the rear. 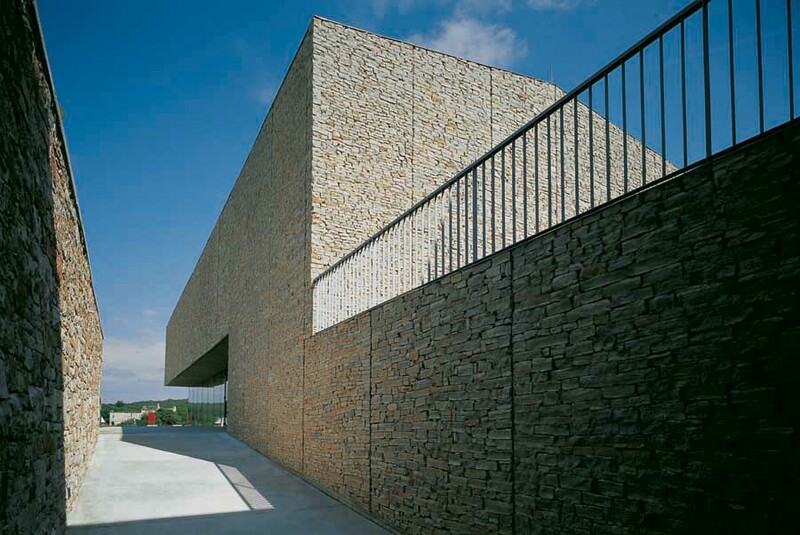 These two areas are distinguished by the use of different materials such as concrete or HPL cladding in a harmonious dialogue with the onyx cladding. The building dominates the gentle slope with its position, undisturbed horizontals and a shimmering facade screening off complex and dynamic activities going on in its interior. 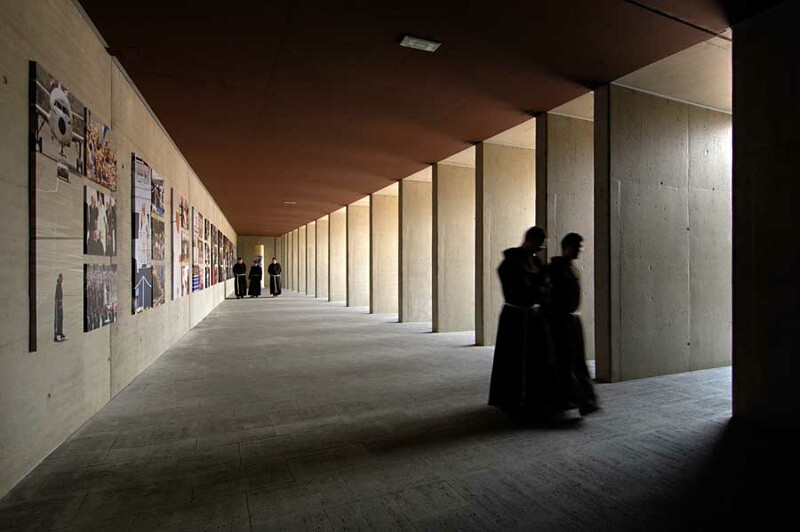 The Croatian Bishops’ Conference building is based on a concept, thesis and development with the aim to establish a harmony between the content and the form. Our intention was to base our architectural expression on the tradition and continuity but also on the future prospects. The installation of geo-thermal heating made possible low-temperature floor heating of both the residential and the administrative parts of the building. September 6, 2013 in Croatia.